Good afternoon from my place of residence, It is a chilly rainy day here in my part of the world today so thought a good day for letting people know all about dogs, they do have some traits in common shall we begin? When a female dog is pregnant the usual gestation period is 63 days but depending on the breed it can be anywhere from 58 to 58 days. The lifespan for all dogs is very different so when choosing a breed this should be taken into consideration an animal especially a dog is a commitment for their life, which is considerably less than ours. Adult dogs will sleep 12 to 14 hours a day which is normal some more hyper breeds do not and like puppies, they spend so much of their time exploring and just like a child are afraid of missing (something). The scientific name for dogs is Canis lupus familiaris and they are descendants of the wolf-like canids and is the most widely abundant terrestrial carnivore. Breeds of dogs come in miniature sizes starting at they can fit in your hand known as teacups and stand no taller than 4 inches, but normal breeds start at 6 inches tall at the shoulder up to an amazing 44 inches at the shoulder. Fun fact did you know dogs can wiggle their nose nostrils independently? The fastest dog breed on record is the Greyhound which was recorded at running speeds of up to 45 miles per hours no wonder they are used as racing dogs. English Mastiff takes the largest dog breed on record normal size is 36 inches at the shoulders and weighing in at 200 to 230 pounds, but the largest English Mastiff on record weighed an unprecedented 343 pounds. Chihuahua is the smallest dog breed recognized by the AKC they stand only 6-10 inches tall and weigh in at a feather-light 4-6 pounds. 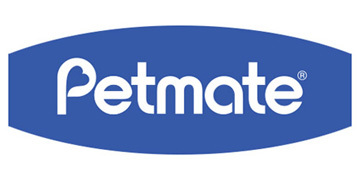 Mentioned prior they do have breeds called tea-cups but these are not recognized by the AKC. Here for the smartest dog breed there are many highly intelligent ones but I would go with the Border Collie these dogs are trained to herd and watch over flocks and they must keep alert at all times. Training begins at a very early age for this breed but they are a working breed and love what they do. For the dumbest dog breed, we have found the Afghan Hound at the top of the list because of it being overly independent and has an aloof nature. They really are not dumb but because they are stubborn, hard-headed, and does what it wants. Most loyal breed found is the German Shepherd – but this I will have to debate I have had German Shepherds and yes they are very loyal then again I have had many other breeds that have shown the exact same loyalty. So what gives for the most loyal breed? With a dog loyalty is earned as they grown are you the person paying the most attention to them, feeding them, grooming them, loyalty is returned from them to you know you care. 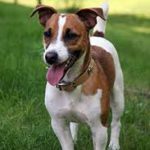 Everyone has opinions for the most active breed dog but for me, I would have to say the Jack Russell Terrier they have endless energy constantly on the move and curious beyond belief. A wonderful loving breed! Selecting the most difficult breed to train would say the Beagle this little guy/girl has a strong nose and when they pick up a scent oops too late you are not even visible or audible to them. 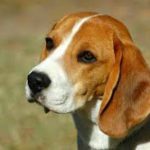 These are just a short list of facts about some dog breeds for today I could probably write 50 pages with the topics you can list and find on the dog breeds. Seniors that can have a dog seriously should have one they are great companions keeping you company and relieving stress from being alone so much of the time. Breeds for seniors should be low maintenance and low activity levels due to as we age we cannot get around as well as we once did. 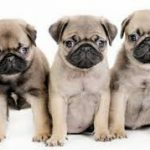 The Pug, Miniature Schnauzer, Chihuahua, Boston Terrier, Shih Tzu, and Pekingese are the breed that I personally would recommend for Seniors these breeds require little outside exercise and can entertain one for hours. 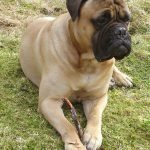 Families have a very large choice of breeds any of them really but you need to take into consideration about how your household operates on a daily schedule. Will someone be at home with the new addition all day or only part of the day, who is going to be responsible for the animals care if no one is going to be there for 10 hours a day? 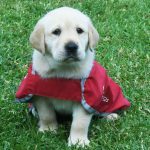 When getting a puppy they are not equipped to be housebroken in one or two days especially for long periods of time while people are away at work. Yes, puppies are very cute and adorable but require someone responsible to be there and take care of them so they do not get into mischief or possibly something that can be even fatal while no one is supervising them. Many dogs grow up with separation anxiety if they are left to often for long periods of time please take this into consideration when adding a new addition to your family. All breeds have main characteristic traits that usually go with the breed but you as a responsible pet owner will need to teach them what is expected of their behavior and how they should act. Hitting your dog should never ever occur no matter what even a stern scolding can make them feel inferior so please treat your animal with respect they do have feelings – just like humans – !! 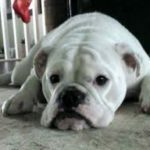 This is just some tidbits of information about all dogs that people should be aware of and I have plenty more that will be added in the future maybe making it a series of All About Dogs – What you always wanted to know! 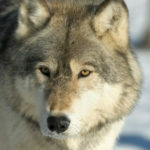 That could turn my website into a novel in no time (laughing) considering I have had dogs with me my whole life, I even had for a pet until he passed away a Gray Timber Wolf he was so beautiful and loving. You have any little tidbits of information you would like to share with us? We love hearing from our readers any questions, comments, or suggestions can be left in the space provided below.